I love these sneakers right here. 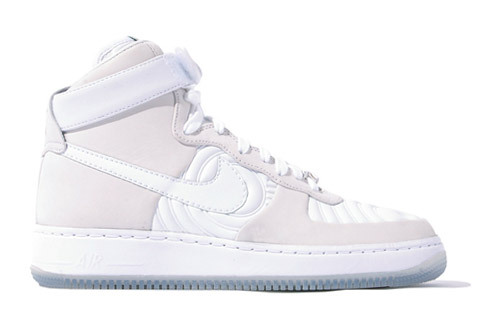 The Nike â€œHajime Tachibanaâ€ Air Force 1 Hi Supreme are available in different tones of white leather and suede completed with a icy clear sole. The sneakers retail for 35,000 Yen which is about $350 USD.